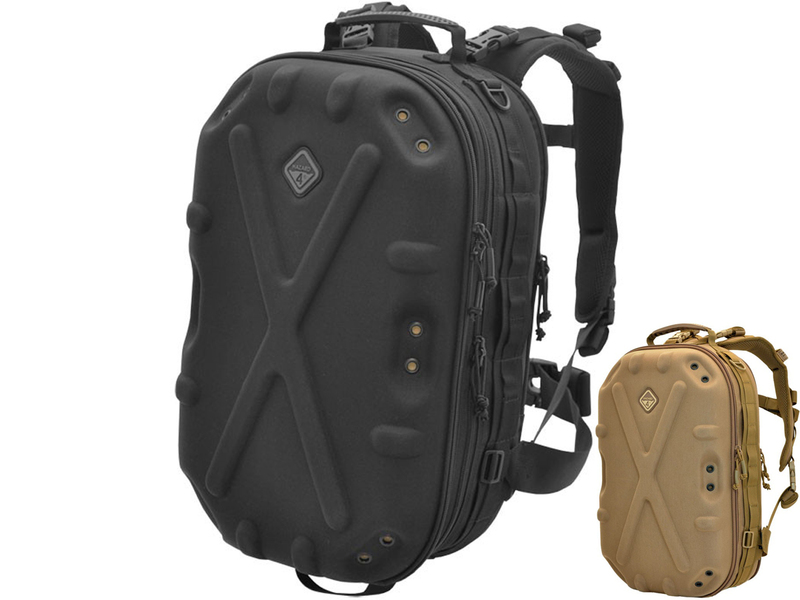 Secures your camera/optics directly to your sling-pack strap or backpack sternum strap. 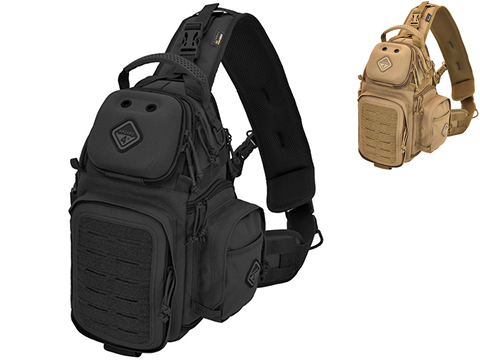 Patent-pending design turns our pack straps into secure, comfort padded camera slings. Add a quick release clamp like Arca-Swiss type or Manfroto to go from strap, to tripod, to gimbal and back into your pack. Adjustable length from super tight for carry, to long for reach. Threaded hole secures the screw from falling out easily. 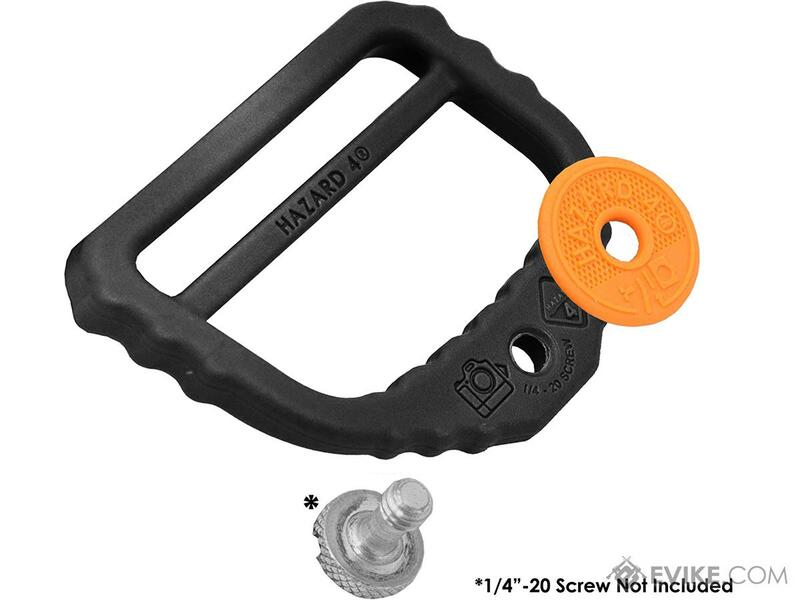 Bend in d-ring prevents strap from hitting user in the face when aiming. Traction bumps are molded to prevent slipping. 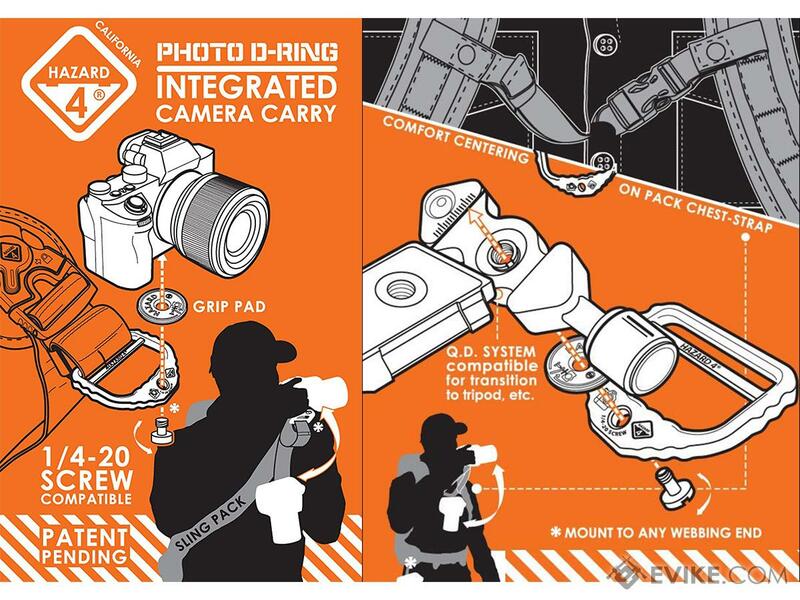 Secure cameras/optics via 1/4 20 photo screw to this 2 D-ring and directly to your sling-pack strap or sternum strap.This patent-pending design turns our pack straps into secure, comfort padded instant camera slings. You can even add a quick release clamp like Arca-Swiss type or Manfroto to go from strap, to tripod, to gimbal and back into your pack. The length can be adjusted from super tight for carry, to long for reach. 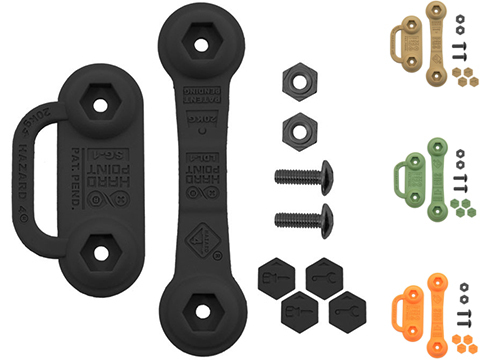 Comes with a replaceable rubber traction pad to minimize camera spin that can be stored under the screw head (screws sold separately since youll want to find one that suits your application best). 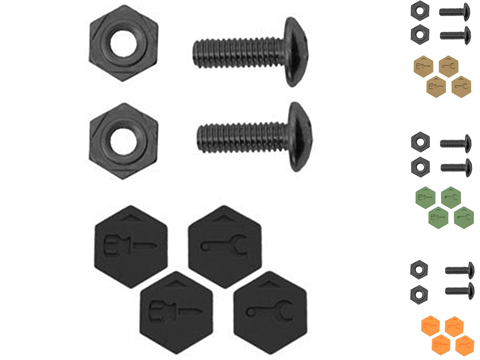 The threaded hole secures the screw from falling out easily. 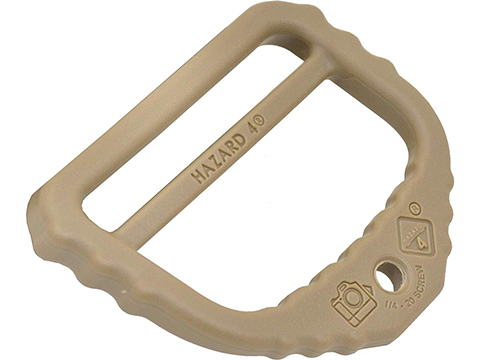 A bend in the d-ring prevents the strap from hitting the user in the face when aiming. Traction bumps are molded to prevent slipping. 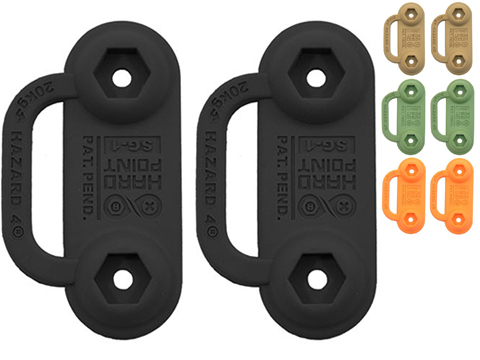 Made of engineering polymer, they are super strong while light weight and wont big up anything when not in use. 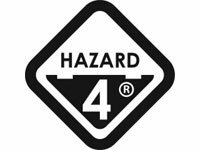 Add one to any of our 2 sling straps or sternum straps - or think up your own application. 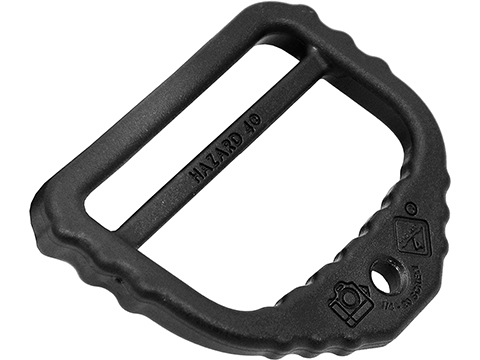 Discuss about Hazard 4 2 Patent-Pending Photo D-Ring (Color: Black) with your friends and fellow Evike.com shoppers!